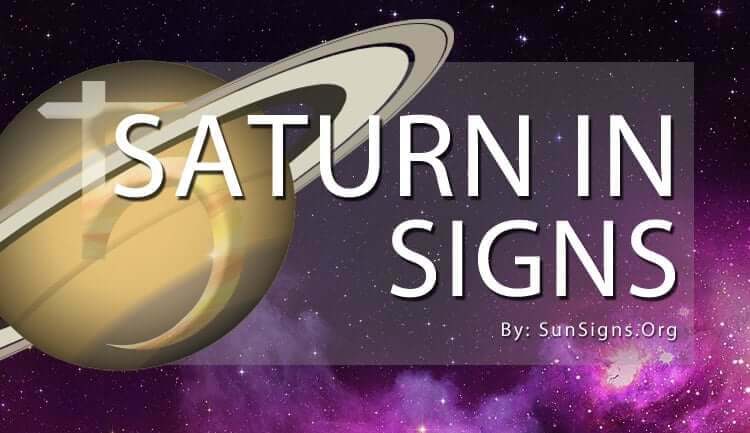 In astrology, Saturn tends to complicate matters, no matter what your zodiac sign is. Saturn is sometimes known as the “taskmaster” or “teacher” of the zodiac. This means that you will be faced with new and possibly difficult tests or challenges when Saturn is in your sign. Take time to learn from these lessons, as they will likely be able to help you no matter where Saturn is placed in the 12 signs. Aries can be both positively and negatively impacted by planet Saturn. You will likely be faced with new challenges, but these challenges, if taken on correctly, should lead you to success in your job, with your friends, or even with relationships. Taurus is blessed when Saturn is in it’s sign. Your life will be more stable during this time. Take this time to pay off some bills, get healthy, and get to know your friends a little better. All of these tasks should be easy to complete with Saturn on your side. Gemini is also favored by Saturn. When it comes to learning, or jobs that require a large amount of skill, things will be easier on Gemini. You may find it easier to study or get your job done during this time. Because of this, paying off bills or other expenses should be easier as well. Saturn in Cancer people will have a rough time. You may be more tired more often, as this could make you more irritable as well. Disappointments and delays in plans are common during this time, but buying new property is more likely. Leo will feel uncomfortable when Saturn is in your sign. You may feel like you are under more pressure at work or at other tasks. It may be harder to get what you need to do your job, and work or school may seem especially difficult or slow-going during this time. When Saturn is in Virgo, you will be blessed or cursed with new challenges, and it’s all about what you do with them. New opportunities will arise, and if completed they will lead to success. If you ignore these opportunities then your life in general will likely become more challenging. Libra faces both ups and downs when Saturn is in this sign. When it comes to jobs and school, it may seem challenging, but nothing that they can’t handle. This should give them opportunities to be even more successful. However, Libra’s health may not be at its peak at this time. Scorpio will be attacked by Saturn’s influence. Mostly in for a bad ride, Scorpio will be very anxious and under pressure at work and school, all with less sleep during this time. This time will be especially challenging. However, opportunities for travel may arise. These, though rewarding, will still be stressful. Sagittarius is also burdened with bad luck when Saturn is in its sign. They will be under more pressure to get their work or school work done on time. Their health may suffer because of all of the stress this can cause. Do your best to not let this take over your life. Capricorn will have more job opportunities, but also job challenges when Saturn is in its sign. Spending so much time at work could lead to more fights with their partner, but this will not affect their relationship with their children. Everything should clear up, but you will be left with a better standing at your job or school. Aquarius may become more nervous and anxious when Saturn is in this sign. However, their great sense of decision-making should help to guide them through difficult tasks that work or school will likely bring. Pisces will have a little bad luck when Saturn is in their sign. They will be struck with disappointments and setbacks, but all of these things are challenges in themselves. Learn from these in order to make your life more successful.